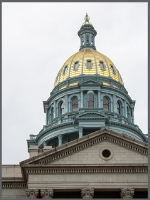 Colorado HB19-1050, Encourage Use of Xeriscape In Common Areas, has been approved by the House and moved on to the state Senate. The bill would make it easier for homeowners’ associations (HOAs) to amend bylaws and use drought-tolerant landscaping. The bill promotes Xeriscape and other water-efficient landscaping on properties governed by HOAs, including common areas. It deems that any bans or restrictions on drought-tolerant plants and practices is unenforceable. It also extends water conservation requirements to special districts. The purpose of the legislation is to support Colorado’s efforts at water conservation. It also seeks to help communities lower their costs related to landscaping by reducing water consumption.